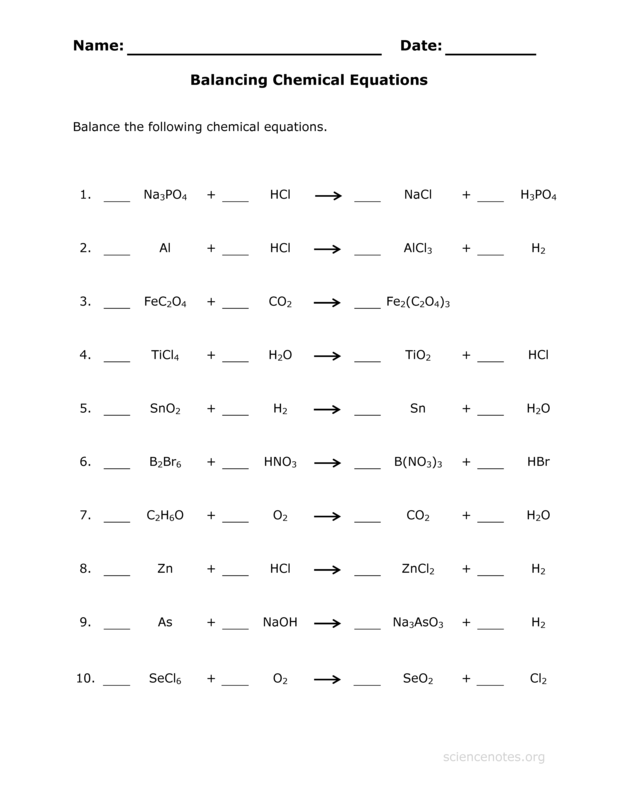 This Balance Chemical Equations practice sheet is useful to help students balance chemical equations. This ten equation worksheet is available in PDF format. The answer key is also available in PDF format or if you’d prefer a quick look, an image of the completed sheet can be found here.